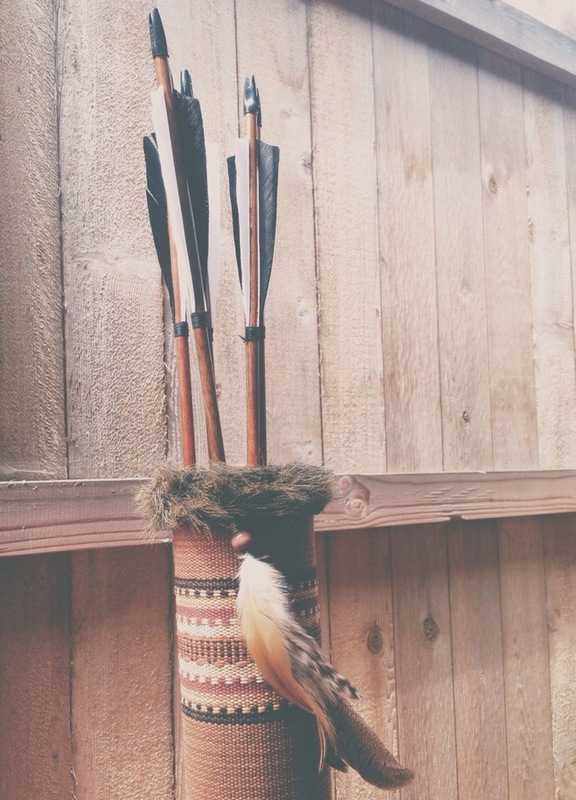 My husband and I love traditional archery and wanted to get quivers to match our customized traditional long bows. We couldn’t find exactly what we were looking for so I decided to make some! Our friend is also into archery so I had to make him one as well 🙂 After visiting numerous craft stores I gathered all of the feathers, fur, and fabric I needed to make these. The one photographed above is mine 🙂 I wanted it to match my bow that I customized so I chose a fabric with pretty earth tones with beads and feathers to accent. 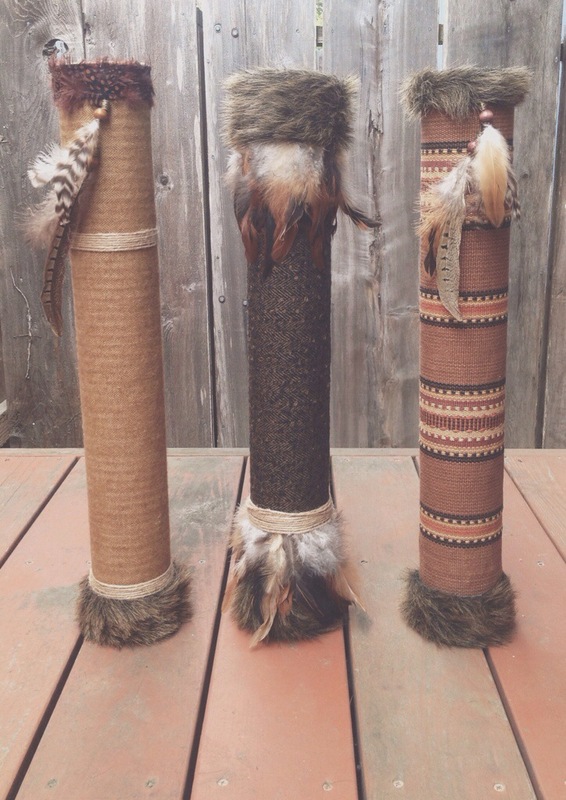 I made these quivers using a drain pipe cut into three parts. Each one was wrapped in a select fabric to tie in details from the bows. I stocked up on a bunch of feathers and faux fur and using a high quality craft glue, carefully placed each detail where I wanted it. 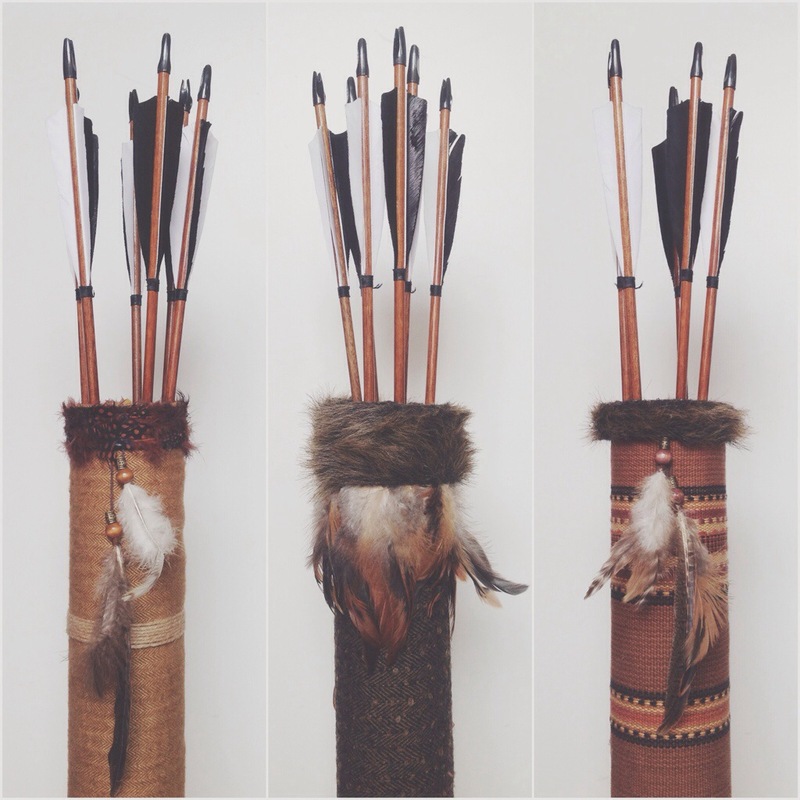 These quivers have a hook tied through the back that hooks onto a belt loop, serving as the perfect side quiver. A strap can easily be attached and also serve as a shoulder quiver, or simply placed on the ground for a beautiful ground quiver. I am super happy with how they turned out! Which one is your fav? Previous Pueblo St. Jewelry Co.